Quote of the day #1: "I would be more aerodynamic if I kept my mouth shut but I just can't stop smiling" ~ Michael Hoogeveen (I believe) about 4km in. 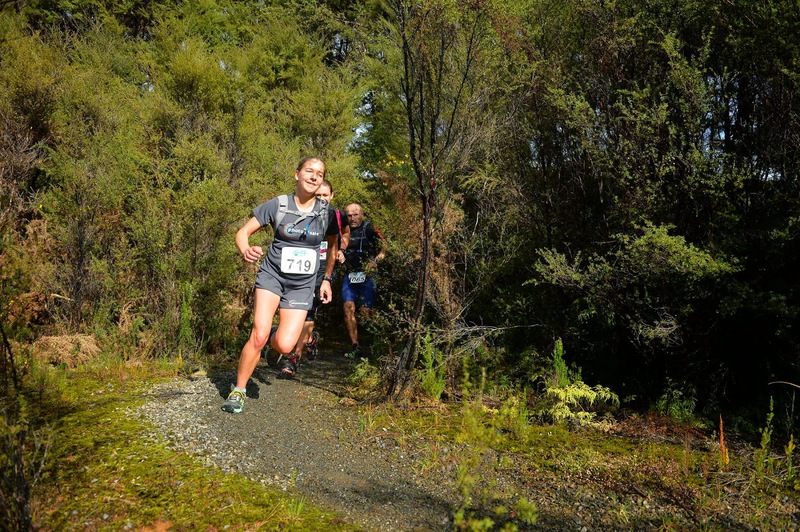 Quote of the day #2: "There's always one more uphill" ~ heard halfway along Pukapuka track. 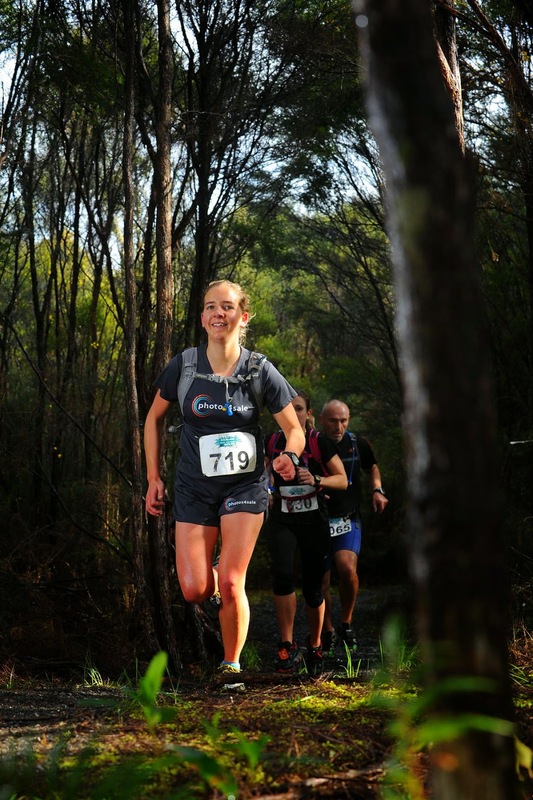 XTerra Hunua (SuperLong) is a race of two halves. The first 10km is flat(ish) mtb tracks and gravel roads and the second half is grunty bush tracks. The weather forecast was for heavy showers and for once it was actually correct. A cold shower rolled through just after 8am, but the sun broke out just in time for race start at 9am. Another couple of bouts of rain throughout the morning kept everything damp (and the carpark marshals busy afterwards pushing cars out of the muddy field). The first 10km of the SuperLong course is mostly on well-formed MTB tracks and gravel roads and is fairly flat and fast. This is the only one out of the 7 Xterra races which did not start with an uphill! As we gathered for briefing Ben Frith asked if "The Midget" was racing today. Like many other people, Ben mistakenly assumed that Reegan Absolum is my brother because we are both short, fair-haired, young trail runners. The pace was hot right from the get-go and I went out uncharacteristically hard for me. After a couple of hundred metres of road it was onto windy gravel MTB tracks with small undulations. I was going well for the first 4km but then it was as if someone flicked a switch inside my head. Suddenly my mental muscle was exhausted and I found myself walking even the gentle hills. I tried to talk myself around to running strongly again but to no avail. My body was saying that it was already dealing with enough stress & tiredness and didn't want any more. 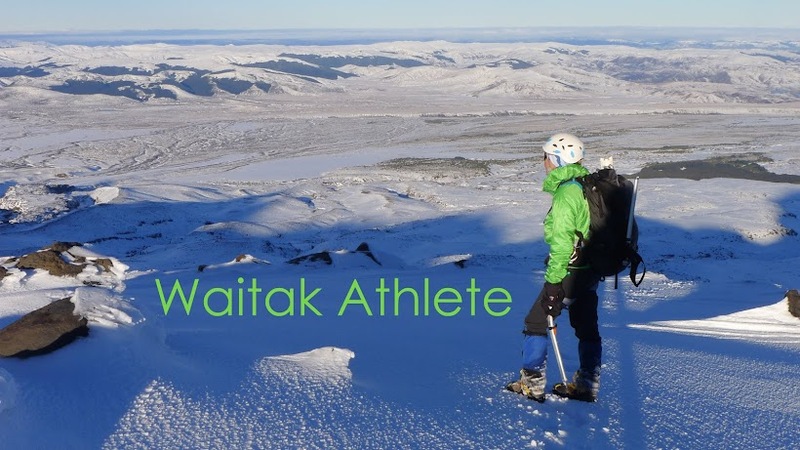 In the end I simply resigned myself to not racing and instead determined simply to finish. It was hard watching everyone fly past. A slow trot was all I could muster even on the flat. A long, flat gravel road brought us to the second water station at the bottom of the National Downhill MTB track. With a name like that it was obvious that the climb would be long and steep. It was raining by now and on the way up I chatted with Sharon from Orewa which helped to pass the time. Once at the top it was across the road and onto the notorious 6km long Pukapuka track. Normally I would relish a good technical bush track like this, but not today. Every now and then we could hear the loudspeakers at the event base way down in the valley. Several people were glad to have their compulsory raincoats as it was a bit cool up in the cloud if you were not moving particularly fast. There was the odd glimpse out to the Firth of Thames or east toward Hunua, but mostly just dense bush. The track seemed to go on and on (and up and up) and the crest of each climb promised to be the last. With great relief we eventually broke out into the open and could see down to the Upper Mangatawhiri Reservoir. The water level was surprisingly low, but nonetheless it showed that the end was nigh. I stopped for a swig of Gu at the final water station at the top of Lilburne Rd then it was steep gravel road down to the dam. As we crossed the dam and passed the 1km to go marker, the guy in front of me suddenly stopped dead in his tracks with a bad case of cramp. A long 3:45 hours after starting I finally finished the 22km course. I had hoped to finish the Xterra series on a high note but not everything in life goes according to plan. Thanks Brent for sharing your chips with me at the finish. Just what I needed!